Convert iTunes audio files to MP3, AAC, AIFF, M4A, etc. Support batch conversion and merge files together into one file. 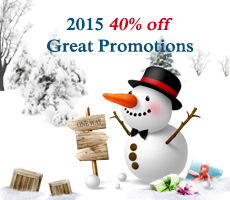 ChewTuneConvert your purchased video and audio files to avi, mov, mkv, mp4, mpg, etc. Video ConverterConverting WMV, AVI, TiVo, MKV, AVCHD files to H.264, MKV, MP4, etc. Pavtube ChewTune Audio is a professional iTunes video converter tool(also a Amazon video converter tool) to transcode purchased music and movie files into pure audios. It allows users to import and convert video files and audios which have been purchased to various popular audio formats, so as to get the audio/music ready for playing back on portable media players, or uploading onto personal websites, or doing something else. 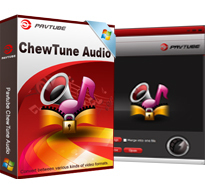 Pavtube ChewTune Audio is specially designed for copy and convert any video and audio files purchased through online stores, e.g.iTunes, Amazon, etc., including .mp4, .wmv, .m4v, .asf, .mov, .wma, .mp3, .m4a, .ogg, .aiff, and more. The ChewTune Audio software help you extract audio files from iTune Store videos, Amazon videos..., and convert them to your specified audio formats with perfact quality and super fast conversion speed. Pavtube ChewTune Audio program enables users to convert iTunes movie and music to different audio formats, including MP3, AC3, AIFF, M4A, FLAC, MKA and more. ChewTune Audio allows users add multiple files to convert at a time, so you neen't waste time to add file into the software to convert one after another. If you want to get a single audio file, you can check "Merge into one file" option to combine loaded files together into one file without intervals. If you don't want to wait around for the conversion process, you can tick off "Shut down computer after conversion" option to save your time and power. Once you check this option, the program will shut down the computer automatically when the conversion process is completed. Tips:The program does not support the decipher of WMV/wma and the catch screen mode on Windows Vista/XP. Note: Only purchased videos can be loaded into Pavtube ChewTune. 1. When running the software, your anti-virus software may report a virus/worm. This is normal, please ignore the report. 2. To convert iTunes files, iTunes must be installed. Click to download iTune 10 from Apple official site. To convert wmv files, Windows Media Player is required. Q: What kind of files does Pavtube ChewTune Audio convert? A: The software converts iTunes video files purchased from iTunes Store (.m4v), Amazon Video on Demand (.wmv) and audios in various formats. Q: How do I update the software? How much do I pay for update? A: The software updates itself automatically when a new version is released. Update is FREE of charge. Q: Is there any limitation to the trial version? A: YES. The trial version exports 10 audio files only. Q: Do I have to install additional codec packs or components? A: NO. But it requires iTunes to convert iTunes store movies and Windows Media Player to convert Windows Media. Q: Your FAQ did not help me out and I need technical support! A: Send email to support@pavtube.com and our customer support staff will help you out. - Highly improved conversion speed (the higher computer configuration, the faster processing speed). - Greatly improved the quality of generated files.